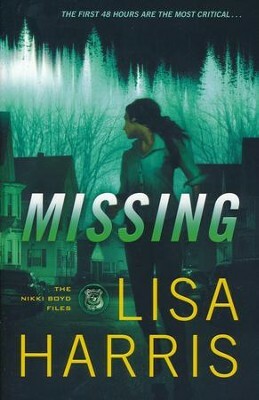 Nicki Boyd's specialty is finding missing people and bringing them home safely. Then two people are murdered and Lucy and Mac Husdon go missing about the same time and she's ready to start investigating. She follows the first clues and they lead her straight to her friend Tyler's boat where another dead body lays. Drugs are also found in the boat and all of this leads to Tyler...and he definitely isn't a murder or a drug addict. In the process of trying to untangle Tyler from the mess, she uncovers a bigger mess then she anticipated: a mess of counterfeit drugs and a killer who doesn't care who get's in his way - he will take them down, one by one. I read the first Nicki Boyd files last year and it was love at first read. When I read the cliff hanger at the end of the book, "I was like - OH MY WORD!" I love the characters and the thought of Tyler involved with anything made me eager to make sure he's a good guy in book two (by the way, I can easily be swayed, so I instantly thought Tyler a murderer haha). Lisa Harris gives us a book just about as good as any other one she's written! The plot is crisp, every action scene full of twists and turns, and I can't say how much I enjoy reading about Nicki. I love that fact that she can use her bare hands on a criminal and take him down yet be so vulnerable. This made her character so much more realistic. The ending wasn't as predictable as I assumed it would be and everything is far from easy for poor Nikki. There is a wide range of suspects and for some reason it took me a bit to get into the book's mystery because of that. I'd get so confused with who is who, and by the time I figured out who someone Nikki was looking up and questioning, we were back to another person on the possible murderer list. Other then this, I really enjoyed joining Nikki again on another thrill ride, and seeing Tyler and her relationship mature and develop. I like to think of this series as Nancy Drew for adults (because off the added touch of suspense and violence). It's just so good! Thank you Revell for this free book!!!! This book sounds awesome! I'd definitely love to read it.